There are many different kinds of dolphins, some very big and some very small. Some dolphins live in the oceans and others in rivers. Most scientists agree that there are a least 32 species of marine dolphins and 4 species of dolphins that live only in freshwater rivers but nobody knows for certain just how many species there are. 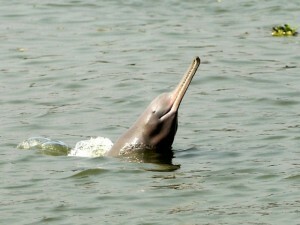 1- The Ganges river dolphin, also known as the susu, lives in India. 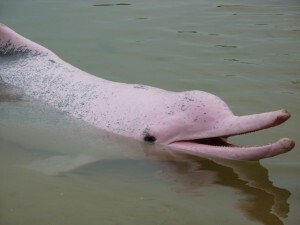 2- The Amazon river dolphin, also known as the boto, lives in the Amazon and Orinoco rivers in South America. The color of this dolphin ranges from a bluish gray color to white. They can also be pink which is very interesting indeed. 3-The Indus river dolphin, closely related to the Ganges river dolphin, also lives in India. 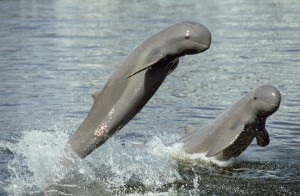 4-The Irrawaddy dolphin lives in rivers in Cambodia, Indonesia, Thailand, Myanmar and India. Some of them live only in freshwater while others live in both fresh and salt wáter. 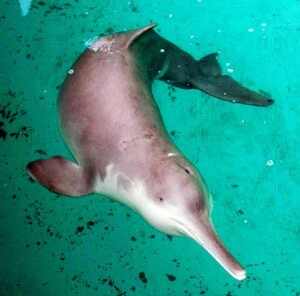 5-The Yangtze river dolphin, also known as the baiji, was once common in the Yangtze river of China. Sadly, none have been spotted since 2006 and they are now believed to be extinct.